RUSH: Another leak here of the upcoming Trump budget, but this one’s kind of cool. “A four-page White House budget memo secured by the Washington Post reveals the Trump administration wants a 17% cut in National Oceanic and Atmospheric Administration (NOAA)’s overall budget — with the deepest cuts coming from earth observation. NOAA studies the atmosphere and oceans — often using satellites — to [supposedly] better understand climate and weather.” Folks, a lot of the questionable temperature record that has been reputedly altered has come out of NOAA. Now, Trump has played a fun game. 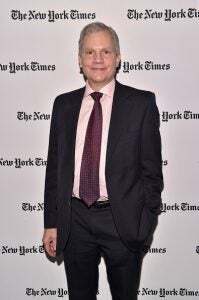 When he went to meet the editors of the New York Times during his transition, you remember that Little Pinch, Arthur Sulzberger Jr., started railing on Trump about climate change? And Trump said, “Well, you know, I’m open to it. Yeah. Yeah. I mean, I certainly want to do everything I can to save the planet. But, Arthur, there have been storms forever.” And Arthur Sulzberger said, “Not like this! Not like this, President-Elect Trump! Not like this!” He was talking about Hurricane Sandy and kind of thing. Trump walked out of there, and the New York Times wrote stories, “President Trump is actually open to…” and he wasn’t. He was telling them what they wanted to hear at the time, which they’ve now figured out. He might have made it clear he doesn’t want any further involvement with whatever the Paris accords were, doesn’t want anything to do here with climate change or global warming, and he’s proving that there are plenty of places in the federal budget you can cut. Right. This is part of the meme — you’ve heard it before — that the Republicans somehow don’t mind dirty air, and the Republicans are fine with dirty water and pollution in general. “As long as there’s profit to be made, the Republicans don’t care,” which is absurd on its face. Common sense. It’s just absurd. But yet this is what leftists say to their young kids and their students and so forth. But none of this is mattering to Trump. He’s gonna take the budget knife and the axe to these various departments, and it looks like he’s very serious about it at all.